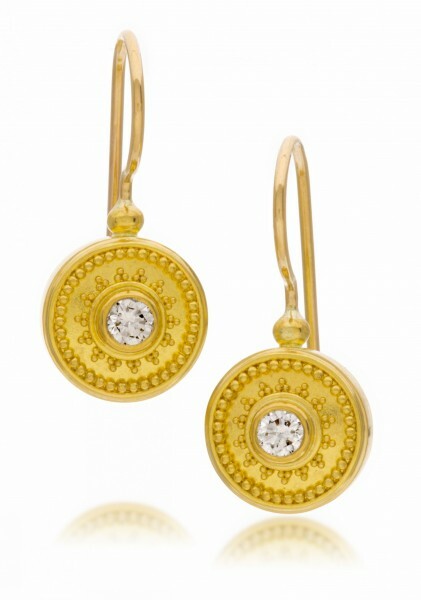 These 22k gold earrings are available with either .22 ctw diamond, or in the slightly larger version with .50 ctw. diamond. Ear wires are in 18K gold. Approximately 7/8” high.